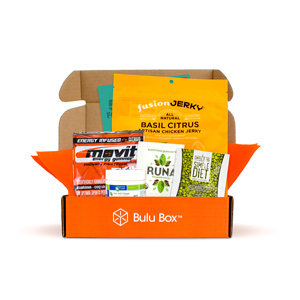 Back in April, I bought a Groupon for Bulu Box 3 month subscription. 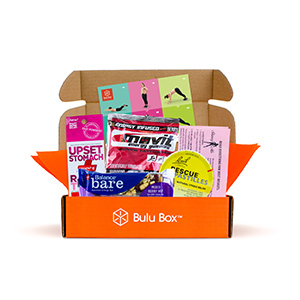 From their web site - "Bulu Box is the first health, nutrition and weight loss discovery box designed to help you feel your best. Each month, you’ll get a custom box filled with a new mix of 4 to 5 premium samples from top brands to try. Every sample is sufficient enough to decide if the product is right for you." So the June and July boxes have a repeat item (the MovIt Energy Gummies), and I didn't get the Balance Bare Bar in the June box. Overall, many of the items are high-caffeine, and I have a sensitivity to that (which I learned via an ER visit! ), so I couldn't try over half of these items. A couple had ginger too, which is my wacky allergy as well. Nothing from these boxes truly appealed to me. I most certainly didn't get a $7 value from them --- and holy heck would I be upset if I had paid $30 for these! Disappointing - I do not recommend this product. Whee! Back on track! Hit goal #1 again two days ago, and I am seriously hoping that this trend continues. I've made it to dance fitness classes four times in the past eight days, so that's super awesome.